Compassion, empathy, hard work, focus, and teamwork are the qualities that I have tried hard to instill in my life over the years of being in this profession. One thing I love about being a dentist is the realization of being able to make a significant difference in patients’ lives. Smiles and happiness of my patients after their treatment are my biggest motivations to excel as a dentist. I believe in having positive atmosphere at my work place which helps me stay excited to go to work every day and overcome challenges together as a team. I believe challenges are tools which provide me with the opportunity to grow as an individual, both personally and professionally. I have always wanted to be in a serving profession to improve the community. I was in need of extensive dental care as a child, and personally understand the importance of a dentist in everyone’s life. Having gone through an experience of protracted dental care, I zeroed in on dentistry as my profession, and never looked back! “Patient First” Is my motto. Keeping my knowledge updated with continuing education helps me to serve patients to the best of my ability. It keeps me well informed about new evidence-based research, techniques, materials, and technologies. In addition to my memberships with the American Student Dental Association, Massachusetts Dental Society, American Association of Public Health Dentistry, American Dental Association, and the Indian Dental Association, I also attend dental conferences, online courses, and in-person seminars. My husband, Dr. Nikhil Gohokar, is physician. As we are both in health-related professions, we have the same idealism which makes us quite compatible with each other. When I am not working, I love to travel and be with friends and family. I am also passionate about dancing—when I dance, I forget all my worries and the world around me. Dancing to Bollywood (Indian) music makes me happy from the inside! The dental profession allows me to take care of and nurture others that combines the element of artistry and detail-oriented skill. It is rewarding to make people feel good about themselves while helping restore their health and giving them the tools to maintain that health for the rest of their lives. Having someone smile and say thank you at the end of an appointment, knowing that the patient had a positive experience, is what makes me smile every day. The field of dentistry is ever changing and there is always something new to learn. Continuing education keeps me up to date with new advancements and extends my skillset to enhance the care I give to patients. The majority of CE I attend is sponsored through my involvement with the American Dental Association and the Massachusetts Dental Society. I was born and raised in Kingston, Jamaica, the youngest of five children. Now, even though I live in Boston, spending time with my large family is one of my top priorities. When I’m not in the office, I have several hobbies that keep me busy. I love to read, exercise (spinning and boxing), cook, and explore fun and interesting events in the community. I also enjoy the dramatic arts and singing! If you are looking for a fun and inviting dental experience, with a doctor who will sing to her patients on cue, then this office is for you! I treat every patient as if I were treating a member of my family. The bond and relationships formed between a doctor and their patients is based on mutual respect and trust, and I value these relationships and take them very seriously. I also believe that prevention is better than cure. I consider it more important to talk to my patients about WHY they need to take care of their teeth and HOW to do it than telling them what is wrong and fixing it. Working with patients to create preventive strategies, treatment plans, and maintenance schedules keeps me on my toes! Everything about dentistry fascinates me—from treatment planning and diagnosis to restoring the teeth and the different materials used. I’m learning on the job every single day, with every single patient, and I love it! I consider it my responsibility to keep up to date on the current standards in dentistry, and keep up with new trends and techniques to be able to provide the best possible care for my patients. Most recently, I have concentrated on courses involving treatment planning, oral surgery, aesthetic dentistry, implantology, dental materials, and digital dentistry. I am also actively involved with the American Dental Association and the Massachusetts Dental Society. 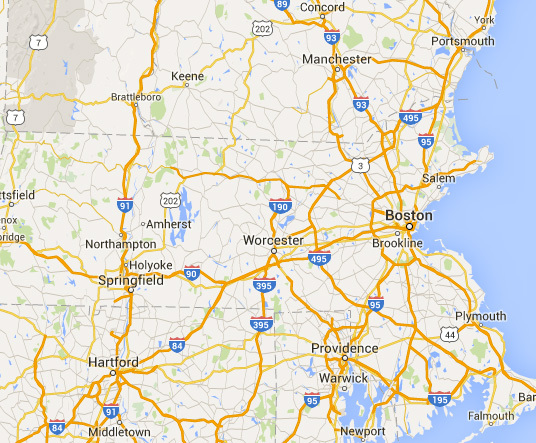 I am originally from Mumbai, India and currently reside in Massachusetts. One of my favorite pastimes is napping, though I very much enjoy traveling, camping, hiking, going on road trips, and attending music festivals as well. I also love desserts; I inherited the biggest sweet tooth from my mother and I understand how hard it is to avoid them! I enjoy dentistry because I feel it can make an immediate impact on a person’s self-esteem. It is rewarding when a treatment comes out the way the patient and I want, and we are both very happy with the results. It’s a pleasure to serve my patients. The friendships that have developed over the years are important to me, and I am honored to care for such wonderful people. I truly love every minute of my work. Continuing my education through the American Dental Association allows me to interact with the world leaders in my profession regarding new technologies, products, and methods that lead to incredible results. It also means I’m able to offer patients the best dental options to create a lifetime of oral health. I’ve lived in Boston, MA on and off for my entire life, leaving for stints as a US Navy Reservist and for my education. Now, I live here with my two daughters, with whom I spend the majority of my free time.